1. 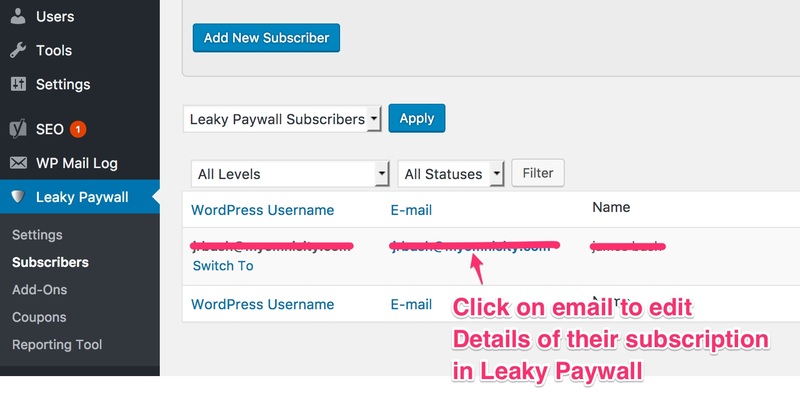 Go to Leaky Paywall > Subscribers in the WordPress admin. 2. Scroll down to the list of users under the Add New Subscriber section. 3. Click on the email of the user you want to edit. 4. 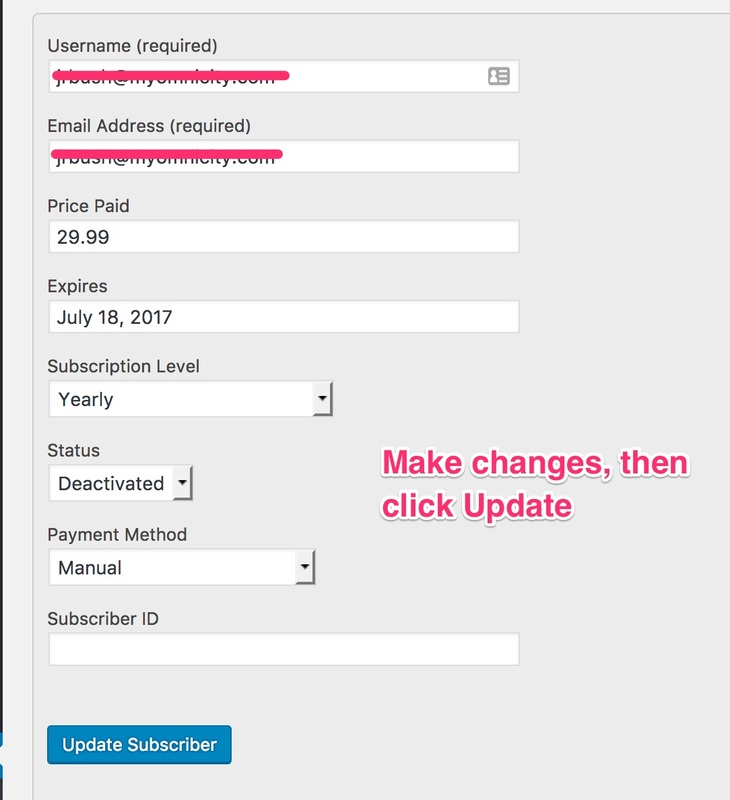 The page will refresh with that user’s information in the Update Subscriber form. 5. Update any of their information and click “Update Subscriber”.